Gazelle The Horn > Gazelle News > Introducing Gazelle Rewards: Get even more for your devices! At Gazelle, we’re all about our awesome customers. 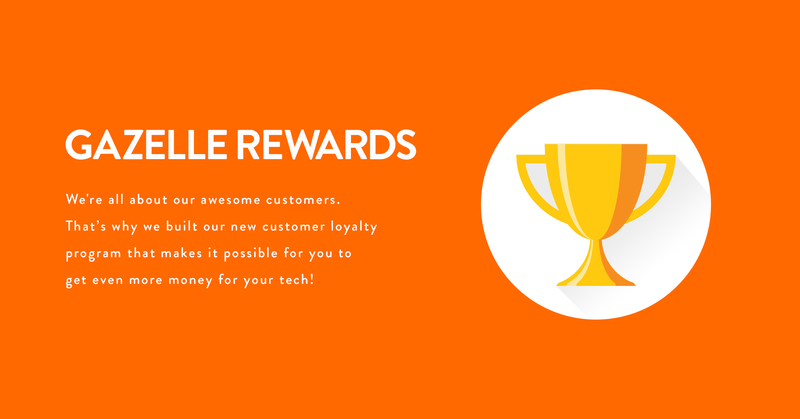 That’s why we went and built Gazelle Rewards, the customer loyalty program that makes it possible for you to get even more money for your tech! Our Gazelle Rewards loyalty program is simple: sign up, sell your tech, and earn points to get even more money back in your pocket. You’ll earn 1 point for every dollar that your device is worth. You can redeem those points for additional value on the next device you sell to Gazelle. Step 1. Sign up for Gazelle Rewards (LINK TO LANDING PAGE) by creating an account and opting into the loyalty program. If you have an existing Gazelle account, log in and opt into the loyalty program through the Rewards Dashboard. We’ve got a few ways to get your hands on these points. Start earning simply by signing up for Gazelle Rewards, selling devices and showing us some love on our social channels. You can also refer your friends for even more points! There are just a few small side notes with our loyalty program that are helpful to know (and to help you spend points the best way possible). Points will stand as “pending” until you successfully sell your device, meaning we receive it and you get paid. 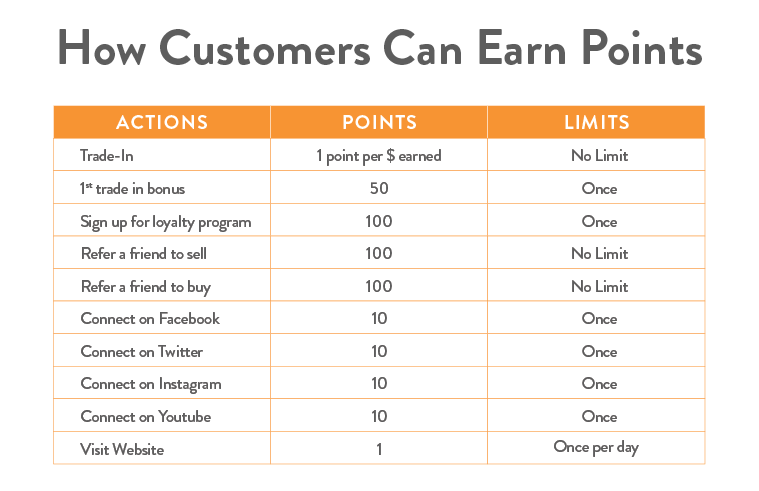 These points then live in your rewards account until they expire 3 years after your trade-in completion date. If you’re a preexisting Gazelle customer, awesome! 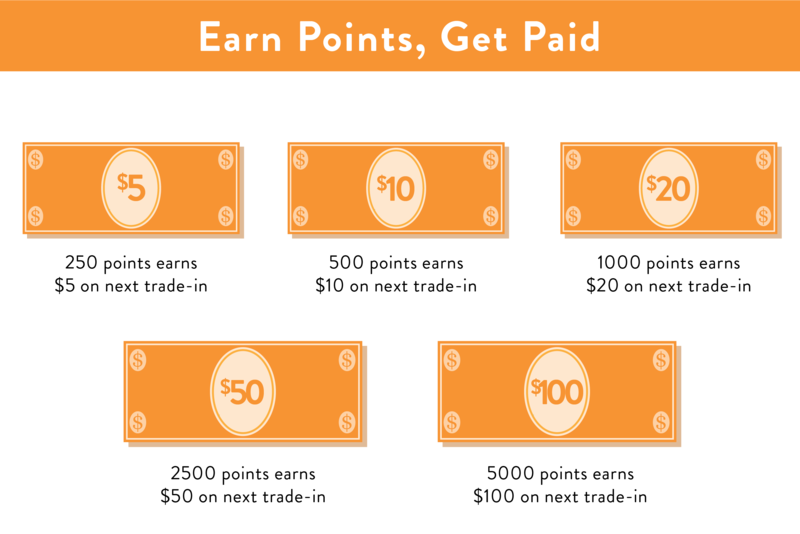 You do still need to sign up for Gazelle Rewards to start earning points. Simply login to your current Gazelle account and join our loyalty program by visiting the Rewards Dashboard. Past transactions won’t count towards this account. So, what are you waiting for? Set up your Gazelle Rewards account today to start earning points and get even more money for your tech!